Here at the COLLECTIVE, we tend to wear many-a hat. We're realtors, we're designers, we're writers, editors, dreamers, and doers. But above all, we're family. And--whether you've worked with us, leafed through the pages of our website, or even admired our damn-pretty digs from across the street--you are, too. Whatever brought you to our doorstep--mutual pals, a pamphlet, or a Facebook post--we're happy, humbled, and oh-so-grateful for you. Now, get over here, you! 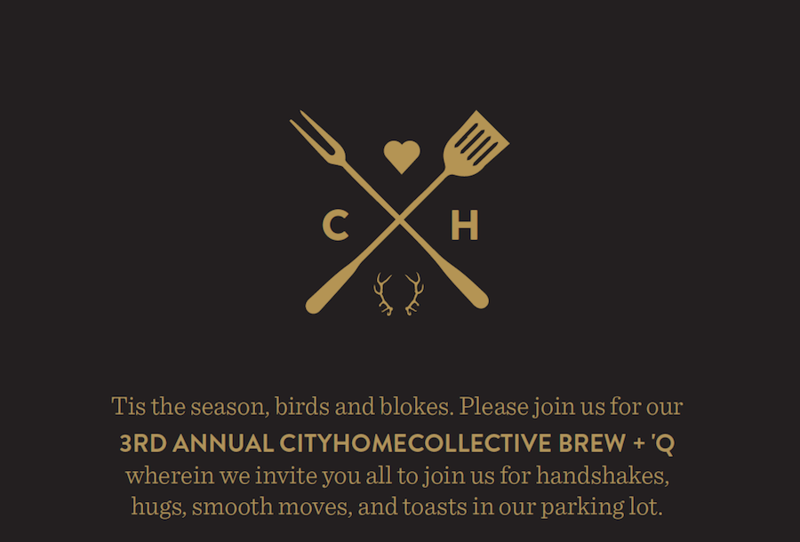 Since we can't actually engulf each and every one of you in a simultaneous group hug (sob), a few years back we begat the first ever Brew + 'Q. And then we just decided to keep doing it. That said, you'll want to pencil the following date firmly into your Filofax--Friday, September 25th. That's right--the 3rd Annual Brew + 'Q is officially in the final planning stages, and it will be happening in just ONE WEEK. We're picking out our china patterns and putting together our playlist, but we can fill you in on just a few of the oh-so-sweet deets right now. 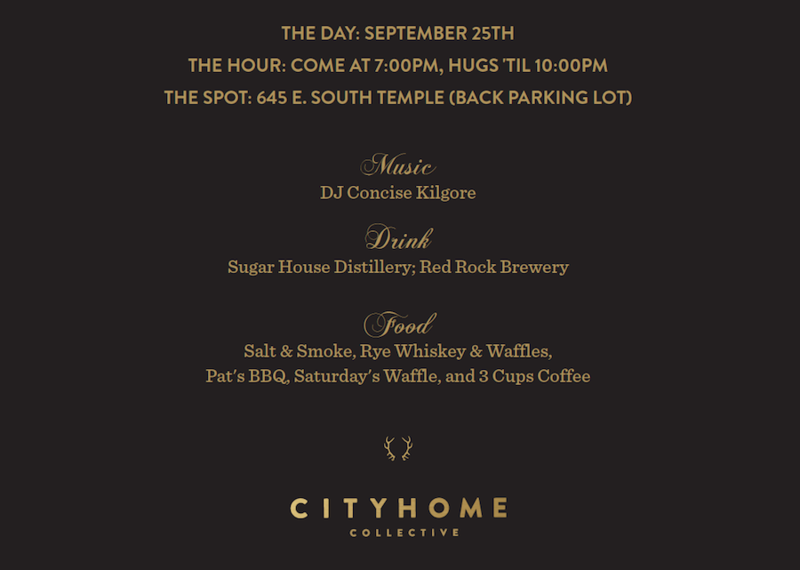 Think: bites from the likes of Saturday's Waffle, Rye, Salt & Smoke, Twist, Pat's BBQ, and 3 Cups Coffee; drinks from our good pals at Sugar House Distillery; and beer from the fantastic folks at Red Rock Brewery. The price tag for all this goodness is perhaps just as tasty: free ninety-nine. Yup, all you'll need to bring is that smilin' mug of yours. We'll supply food, drink, and beats (from our COLLECTIVE fave DJ Concise Kilgore), and we won't take a dime for any of it. Sometimes, we feel like we'll just burst if we don't let y'all know just how much we heart you. (Hint: it's a lot). Let us lay some lovin' on you next Friday at our HQ. Bring yourself. Bring your peeps. We'll handle the rest. Let's get all friendship up in here.